Do-It-Yourself Memory Keeping System - Pebbles, Inc.
First of all, I created a “to do” list of sorts. I simply cut one of the “To do” columns from the “Weekend” paper. 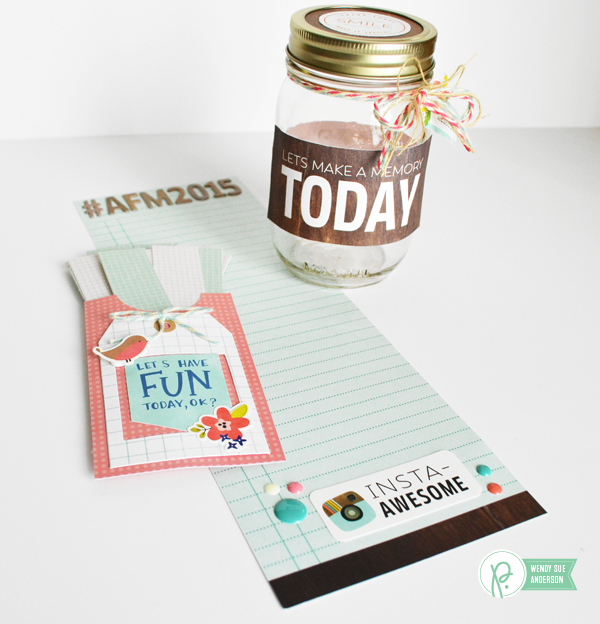 The idea behind this piece of my system is to create a “bucket-list” of sorts with my family. 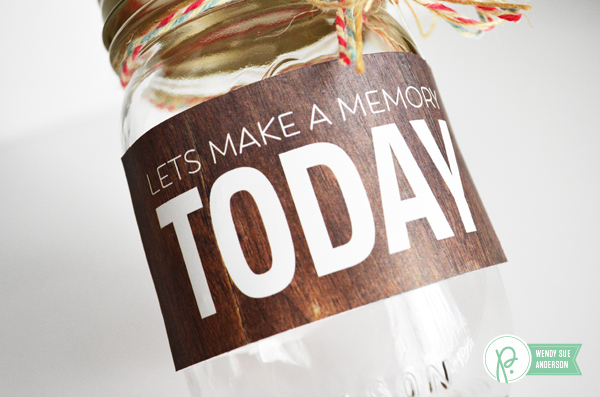 We’re going to sit down together (or separately) and create a list of things we’d like to do this year. They can be big things (like “go to Disneyland” or little things like “celebrate my birthday with chocolate cake” – anything is fair game – as long as it’s something we want to remember). Now I’m not fool enough to think I’m going to remember to take my nice camera to document each and every memory. I’m also not naive enough to think that my teenagers won’t do some of the items on the list without me. However, I am wise enough to know that with four smart phones in the house, it’s likely that someone will take a picture of everything. 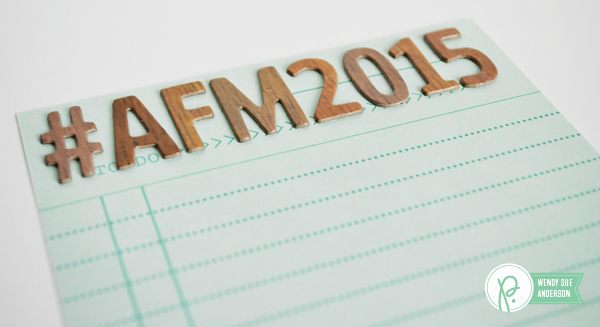 With 3 instagram accounts between all of us, I’m just going to ask my kids to join me in adding the hashtag #AFM2015 (Anderson Family Memories 2015) to our memory photos…then I plan on making a printing a fun little book at the end of the year. 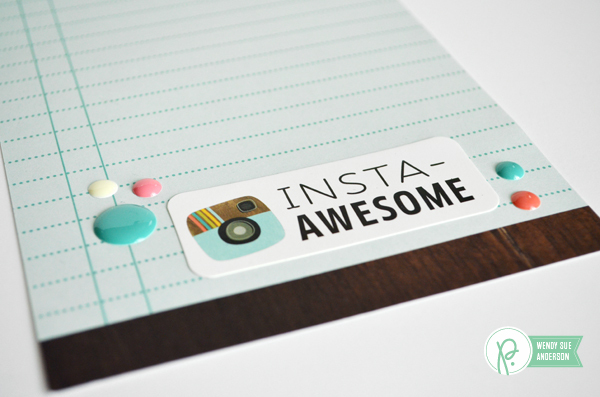 I loved the “insta-awesome” sticker in this collection, and had to add it to the bottom of my list! There’s something about a handwritten thought, or memory, that I just treasure. That’s why I created the next part of my system. 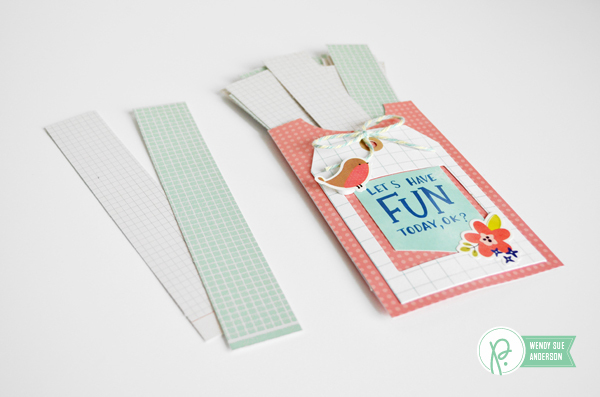 It’s super simple…just a quick little pocket, created with a 6×6 paper folded in half and embellished, filled with strips of paper. The idea here is that we can write down things we want to remember – things that made us happy, things that made us think, things that changed us…anything we want to remember – whether there’s a photo to go along with it or not. The slips of paper aren’t very big (1″ x 6″), so this won’t be an in-depth novel, but it will be enough to help us recall special moments. 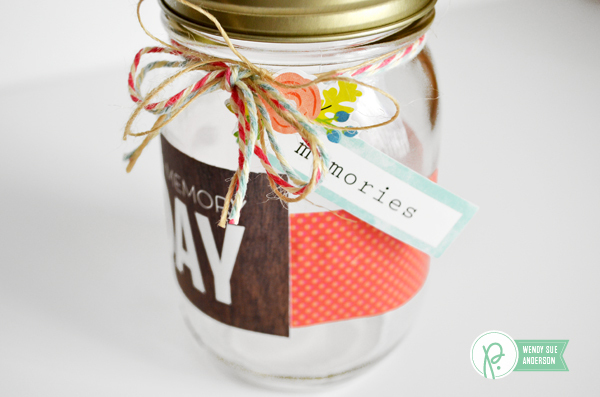 Finally, this simple little embellished mason jar can hold some of our special memories. 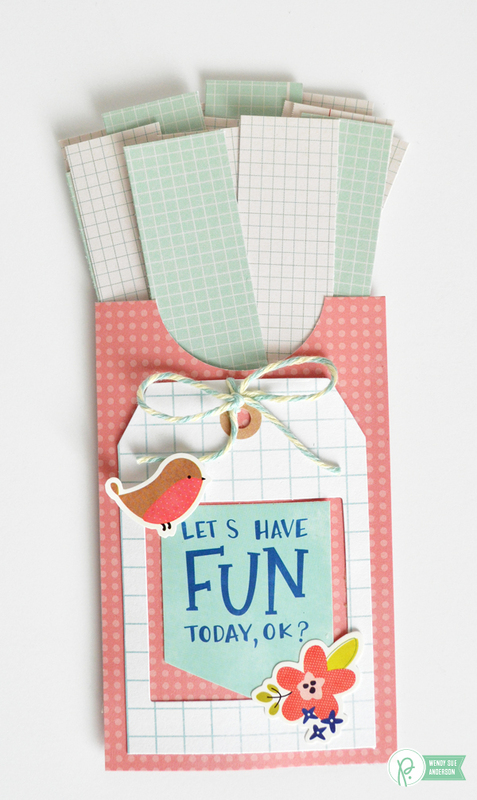 We can fold up those little slips of paper and drop them in. 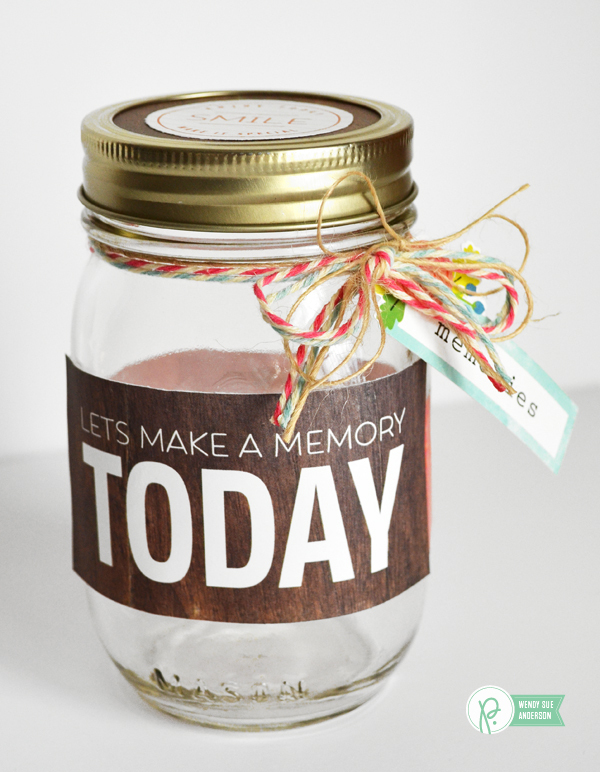 We can also add other things – ticket stubs, little photos, anything that will fit inside is fair game.